James Krieger is the former science editor for Pure Power Magazine, the former editor for Journal of Pure Power, and a former research director, and he is currently a well-traveled speaker and presenter at conferences and events that host primarily physicians, dieticians, and other health and fitness professionals. 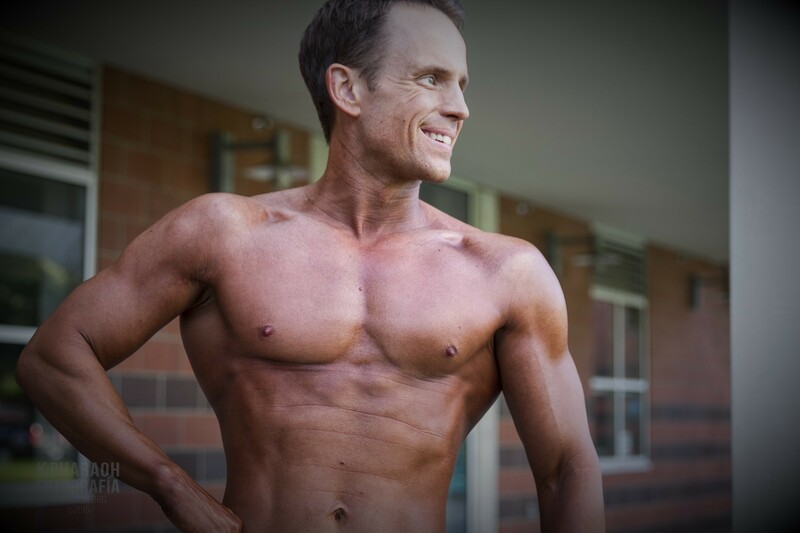 Most notably, he is the founder of Weightology, a website dedicated to delivering scientific, evidence-based information on body composition and nutrition, where you can benefit from coaching, research reviews, and read a few articles that are guaranteed to raise more than just a few eyebrows. James has a M.S. in Exercise Science from Washington State University and a second M.S. in nutrition from University of Florida, and his research has been published in numerous journals, such as the Journal of Applied Physiology and American Journal of Clinical Nutrition. QUESTION(S) OF THE DAY: Have you had anything about health, fitness, and nutrition that you strongly believed in challenged or changed? Please let me know in the comments at the bottom of this post. Interesting! I’ll be very interested to see what will turn out to be the average daily caloric surplus necessary to add a pound of muscle?! Looking forward to that analysis to come out. Excellent interview! James Krieger provides so much useful information without being dogmatic. Fantastic interview guys – pretty much agree with everything you said there James. I also believe that the so called benefits of low carb are actually mainly due to the relatively higher protein. The only benefit of low carb in itself is that it may be one individual’s preferred way of sustainably reducing caloric balance. Mind you, another individual may prefer to reduce fat instead – personal preference as to which approach can be adhered to in the long term. Also loved your series on insulin – have a read guys – it’s well worth it! James – quick question for you: in your dairy post you mention that whilst you consume most forms of dairy you avoid butter as it has a deleterious effect on LDL and heart disease risk? Could you expand on that point (or direct me to any articles you have written on that?) Like Lawrence I consume a lot of grass-fed (Kerrygold) butter each week – but would like to see some research before I consider moving away from that? Here’s a 2015 study showing even moderate butter intake to increase LDL. What makes butter particularly harmful, compared to other types of dairy fat, is that it is low in milk fat globule membrane content. Here’s a study showing how butter increased LDL, but whipping cream (also dairy and high saturated fat) did not. One other question for your James: you mentioned to Lawrence that as per Brad, you have changed your view that low load/ high rep sets to failure are every bit as effective at stimulating muscle hypertrophy as a traditional high load/ moderate rep approach. However do you believe there is a ‘minimum threshold’ to load or will any load suffice as long as every set is taken to momentary muscular failure? The reason I ask is that, like Lawrence, I am currently using bodyweight only exercises to failure. Will that be a sufficient load to maximally stimulate MPS in your opinion? One other observation for us ‘HIT-ites’: having just read the link above: where James says ‘multiple sets’ he actually means 3 or 4 sets per MUSCLE GROUP: so for example for chest I do 1 set of push-ups, one set of dips then repeat later on in my workout, for lats I do 1 set of chins, 1 set of inverted rows and repeat within the workout etc. The beauty of going with bodyweight only is the ability to pack a relatively larger amount of sets into my thrice-weekly 45 minute workout, since there is no wasted set-up/ break-down/ tracking time before commencing each set. There is some research that should be published soon that, once you fall below 30% 1-RM or so, the muscle gains decrease, even if you go to failure. That will be a very interesting study to see James – I’m sure Lawrence will have a few questions relating to that one when it comes out – and specifically what implications that has for those of us working with bodyweight only… I will also be very interested to hear James Fisher’s response to that one! And many thanks for those 2 links on butter – I can’t believe that nobody else has picked this up before, since this is the first I have ever heard about this with regard to butter. I do consume a lot of Kerrygold butter currently (including cooking), so I may need to swap that out for coconut oil instead.. I tend to cook with coconut oil because it has a high flash point and is tasty :D. I’ll only really use butter (KerryGold) to season potatoes and rice.